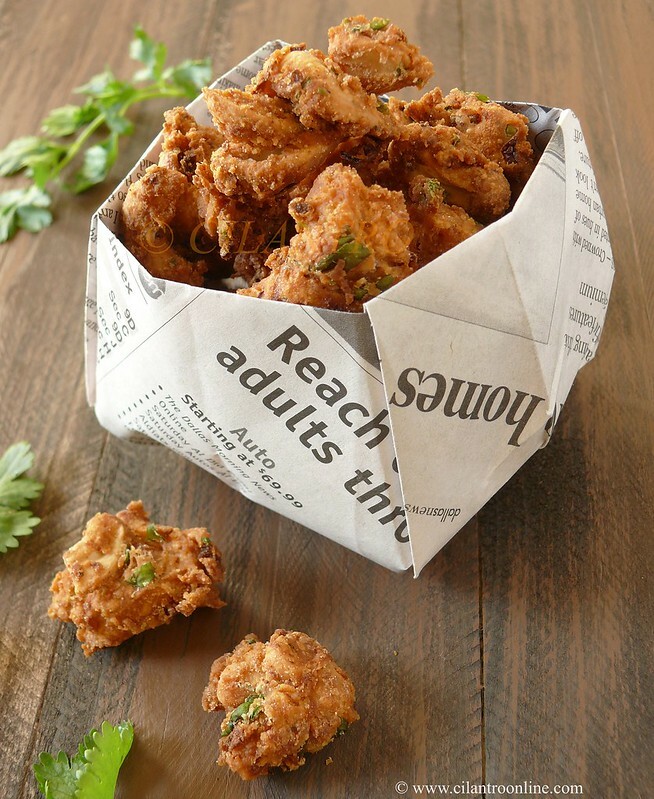 yummy mouth watering crispy pakodas. Never heard of cashew pakoras but I am liking the sound of it already. Have to make it one of these days. 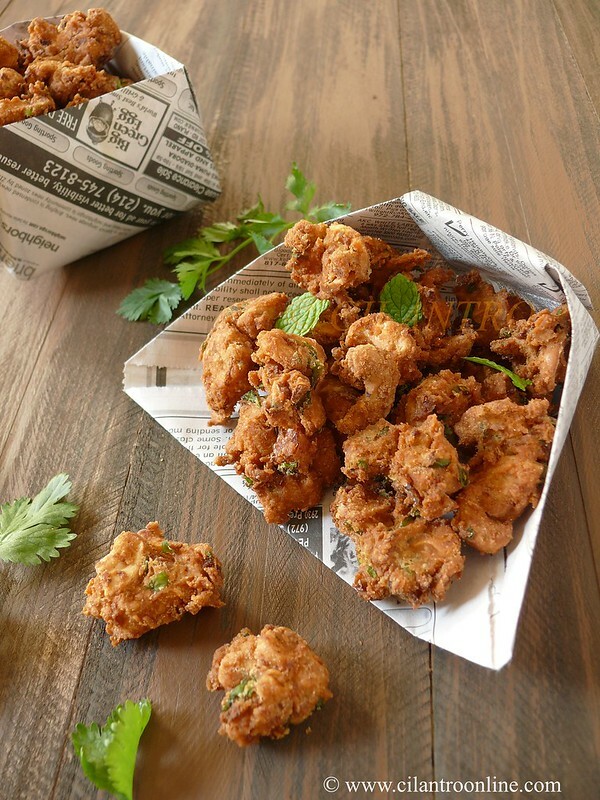 These pakodas are a new recipe for me. I would love to try these. Wowo wish i could just grab few and have a taste as i have never had them. Omg, wish to finish that irresistible cashew pakodas rite now.Yumm! Looks very crunchy and yummy....love the presentation! Did you make the paper muram by yourself? Looks very cute. I did make the muram myself Latha and its quite easy. I like that paper muram. Nice clicks. Pakora looks rich and crispy. Love this pakoda!!! Looks delicious,love those cute paper bowl n muram!! love this a lot dear...yummy..
looks the same.;. shd be much better than AAB one.. sometimes they r s so soggy.. n its pricey too.. homemade is the best..
Love the color of the pakodas..looks crunchy! They look delicious Cilantro. My pakodas never come out crispy. Got to follow your advice while making them. KVS, learnt it while in school. Not sure how to show it to you. Will share it if I find a link on youtube or elsewhere.